Exploring how machine learning is impacting the world's most important industries. 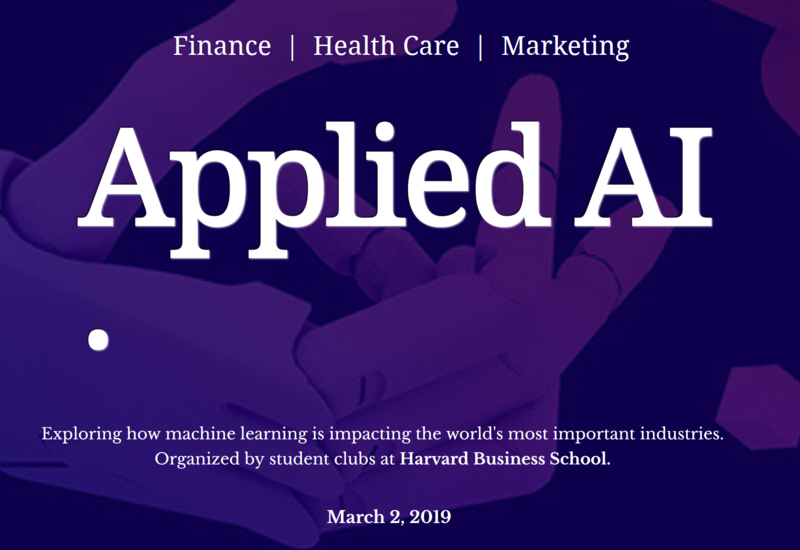 Organized by student clubs at Harvard Business School. In a world in which more and more elements of our lives are creating data, machine learning is beginning to impact the world’s most important industries. This year’s conference will explore its impact on finance, health care, and marketing.